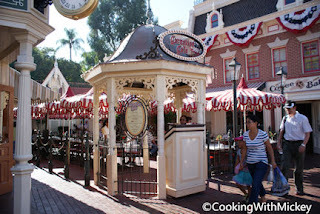 Cooking With Mickey: Carnation Cafe Closes Tomorrow! Disneyland park favorite, Carnation Cafe will be closing it's doors tomorrow and will reopen in the summer. The refurbishment will add addition indoor seating and an updated menu with new dishes and some of Walt's favorites. Until then look for the Jolly Holiday Bakery Cafe, at the former Plaza Pavilion location, to open later this month.